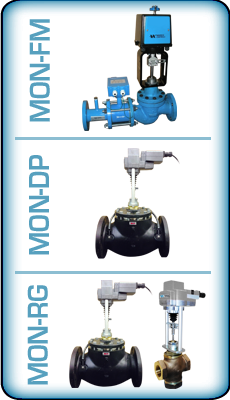 Monitrol is a turn-key fluid control system including a globe style control valve, a variety of built in sensors for Flow, Pressure and Temperature, a High Precision Electric Actuator, along with controller and an easy to use Touch Screen interface. Monitrol can manage up to three variables (sensors), simultaneously with its control logic. Flexibility allows the control logic in Monitrol to be bypassed if that is desired. A Building Management System can still maintain all control and just make use of the sensor information if that is desired. 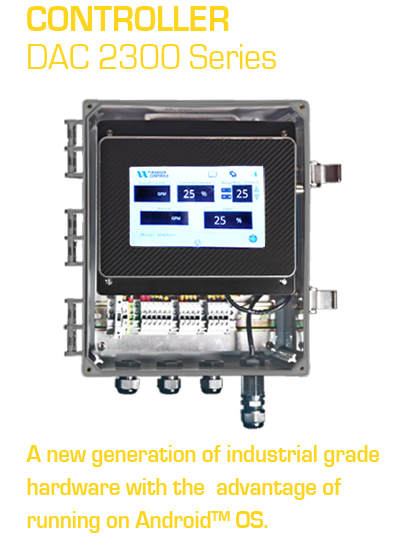 A full range of I/O signals, feedback and modbus TCP communications are standard.